The Recife Fountain has an ultra modern look without requiring a lot of space. Water spouts up from the middle of the oval bowl and spills into the sleek rectangular pool below. 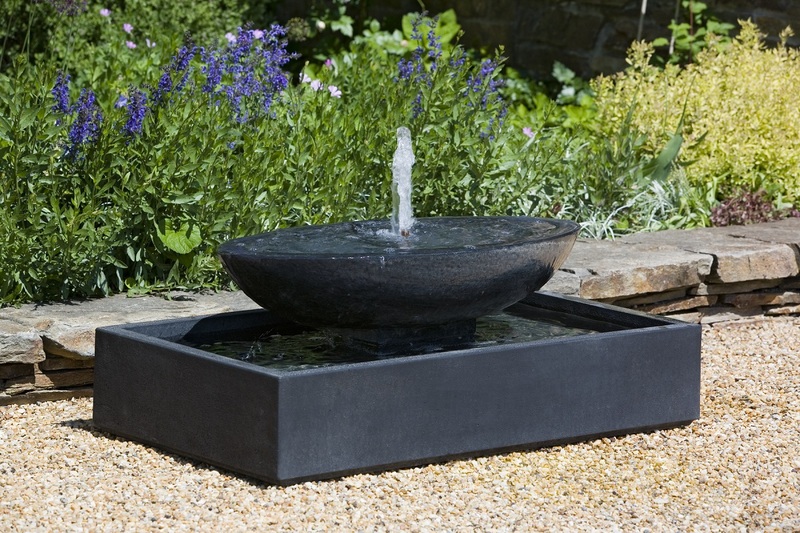 Add this soothing water feature to your contemporary space. L 43" W 26" H 16" | 377 lbs.